Right across the street from our motel was the Bavärian Inn Restaurant – a Bavarian style Inn (?). 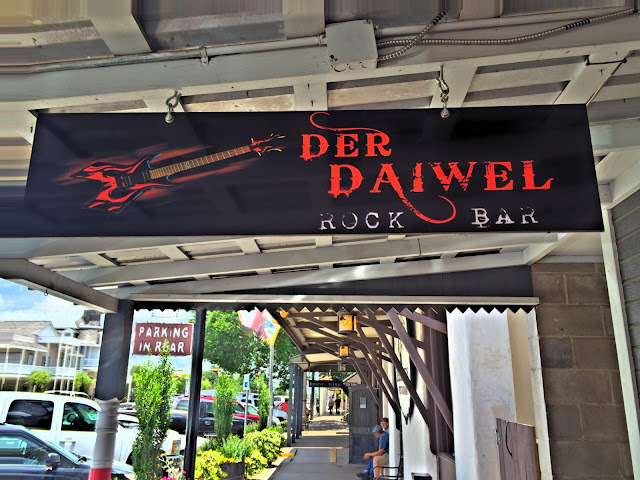 Fredericksburg has several Germany style restaurants and shops. We walked over and had dinner at the Bavärian Inn. As a matter of fact, the entire community has a strong German influence as Germans founded it in 1846. 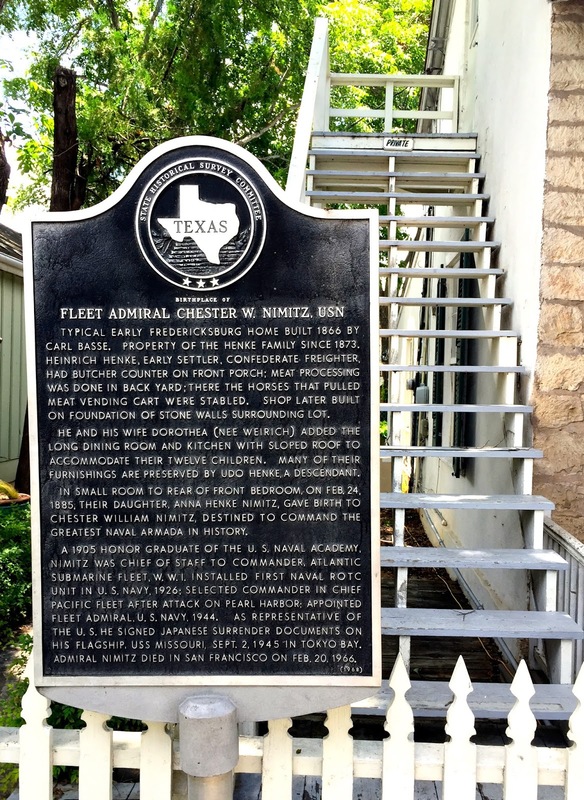 The original settlers had migrated to the area from New Braunfels, TX, which had been established the previous year. The Adelsverein (German Noblemen’s Society) organized hundreds of people in Germany to settle in Texas. Immigrants from Germany began arriving at Galveston, TX in July, 1844. So, back to dinner last night – the Bavärian Inn was not too bad, but the Bavarian style of food has transgressed to the tastes of us Americans. We noticed that Bavärian Inn was spelled incorrect – they added an umlaut a (ä). Then later we realized a lot of the German words throughout the town had umlauts added that were incorrect. Not sure why, but maybe it was to give a more German look, or it was due to the Texas German that the early settlers developed. 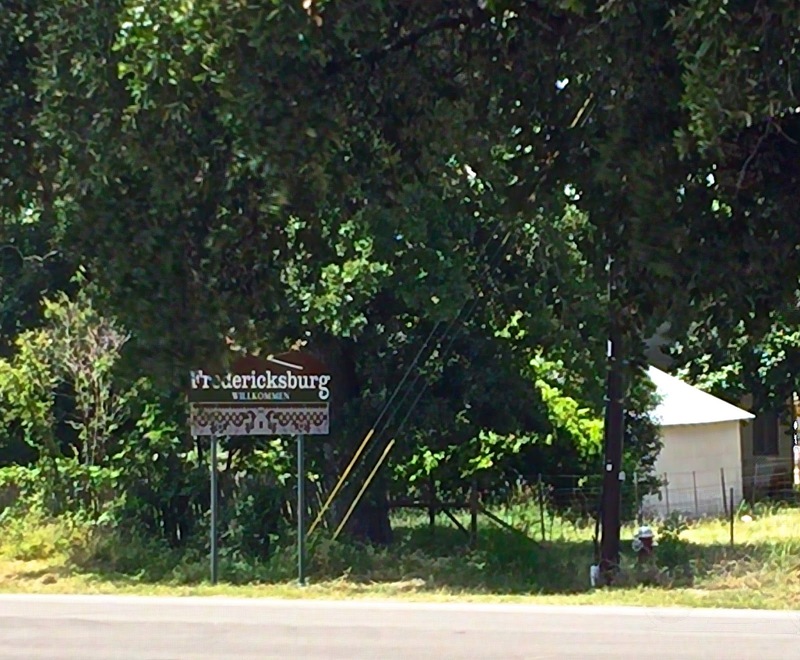 At any rate Fritztown, as older residents sometimes call Fredericksburg, is a nice community and certainly worth the visit. Our walkabout as pretty hot and long – from one end of town to the other and back – around 6 kilometers in length. Der Daiwel is dialect for the devil. Unfortunately the bar was closed when we passed by. 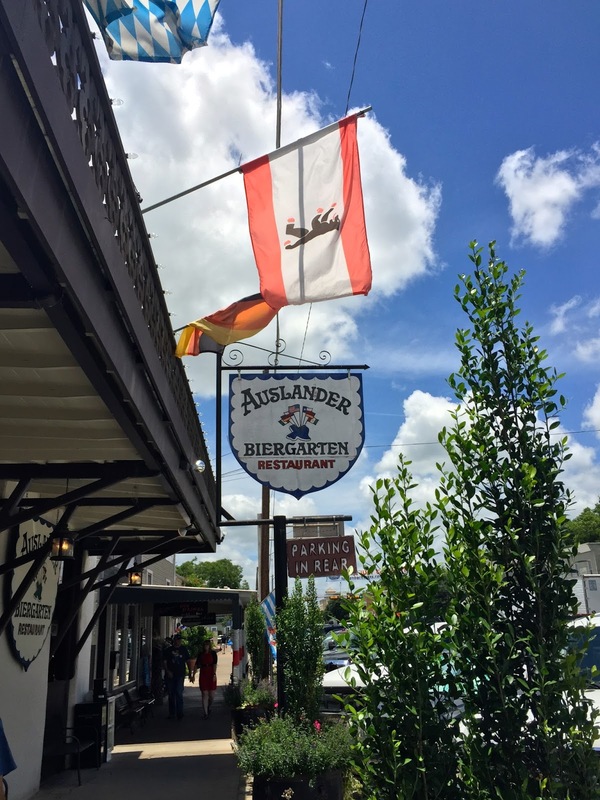 We had nice lite lunch at the Ausländer Biergarten and Restaurant, which served more traditional German food than the Bavärain Inn. 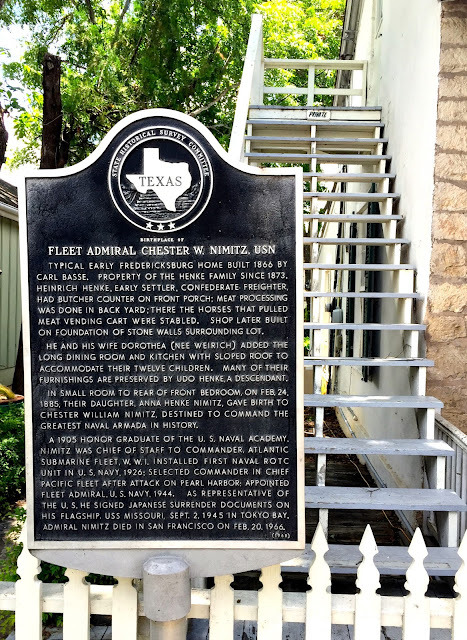 Fleet Admiral Chester Nimitz, who played a major role in the naval history of WW II as Commander in Chief, United States Pacific Fleet, was a resident of Fredericksburg. His family goes back several generations as residents of Fredericksburg. There is a superb museum in his honor. After a well-deserved rest and couple of beers we had dinner at Porky’s Hamburger and Onion Ring Co. Authentic good old hamburgers, fries and onion rings. After Porky's we waddled back to the motel and sat on the porch, watching the traffic go by. Most of the vehicles were; 4 x 4, long wheel base, king cab pick-ups with loud mufflers - predominately Dodge Ram verity. Pretty typical vehicle in and around Fredericksburg, and much of Texas.